This event was available from Thursday, July 26, 2018 12:00 AM until Wednesday, September 12, 2018 8:00 PM. Body Building Classes are designed to help members of The Word Church become more loyal disciples of Christ and to achieve success spiritually, emotionally, physically and financially. Body Building Classes will transform your mind, body, soul, and spirit as you take the opportunity to continue to seek God on a deeper level. 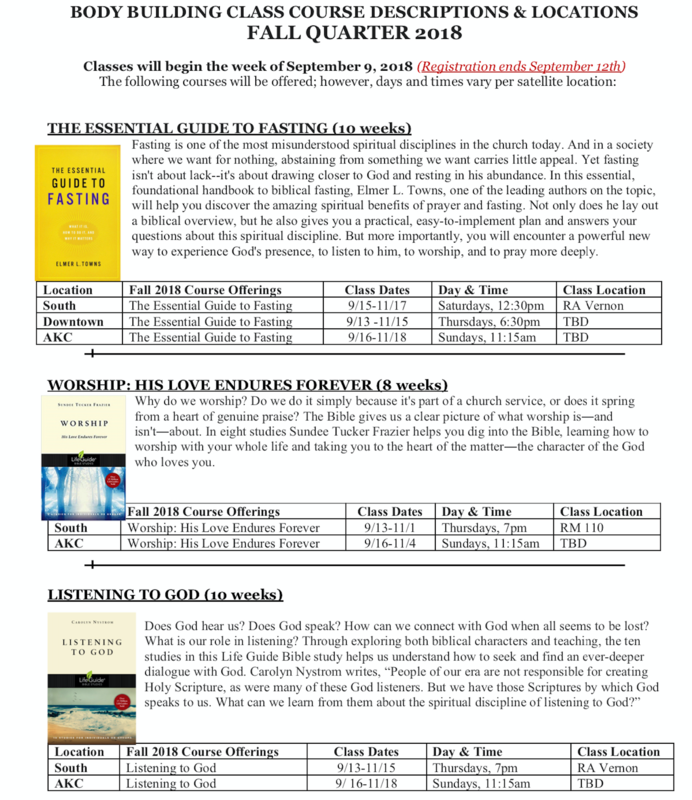 The classes focus on revealing God through study and illumination of His will in each session. Class selection opens during the registration process. * Make sure to read descriptions below and be careful not to choose conflicting dates and times. Fasting is one of the most misunderstood spiritual disciplines in the church today. And in a society where we want for nothing, abstaining from something we want carries little appeal. Why do we worship? Do we do it simply because it's part of a church service, or does it spring from a heart of genuine praise? Does God hear us? Does God speak? How can we connect with God when all seems to be lost? What is our role in listening? Keep It Shut explores how to better control your tongue. From Bible times to modern times women have struggled with their words. Are your called to teach? 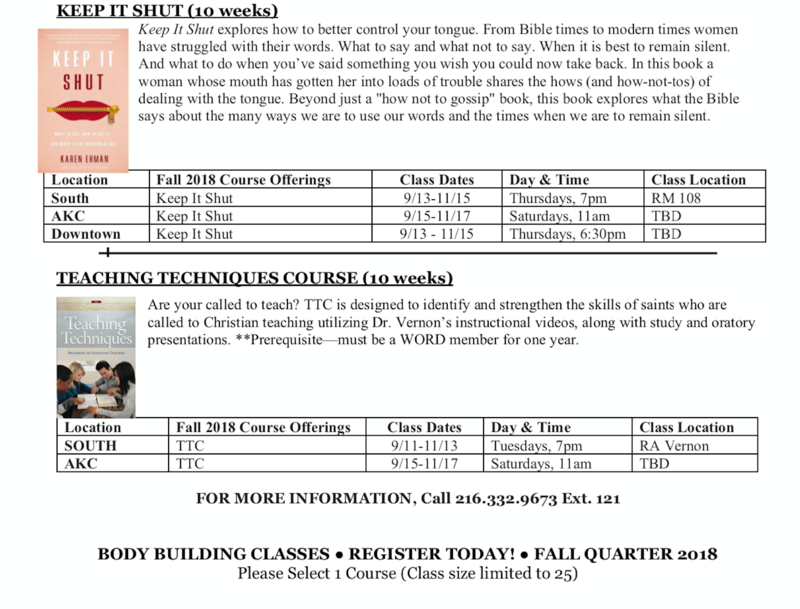 TTC is designed to identify and strengthen the skills of saints who are called to Christian teaching utilizing Dr. Vernon’s instructional videos, along with study and oratory presentations. **Prerequisite—must be a WORD member for one year.